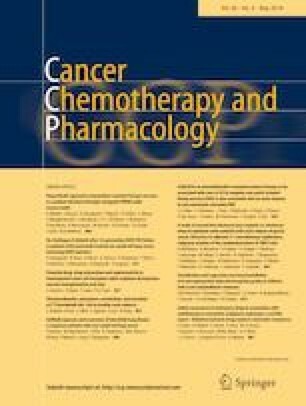 Oral administration of chemotherapy offers several advantages in comparison with intravenous administration. Previously, data on a new oral formulation of irinotecan have been published. The aim of the present study was to evaluate the safety, tolerability, and Maximum Tolerated Dose (MTD) of the new oral irinotecan formulation in combination with oral capecitabine. The study was an open label, phase 1, single center, extension part in which oral irinotecan was investigated in combination with capecitabine. The MTD of irinotecan in combination with capecitabine was 17.5 mg/m2 once daily for 14 consecutive days in combination with capecitabine 800 mg/m2 twice daily. Eligible patients were adults with metastatic or unresectable solid tumors for which no standard curative or palliative therapies existed. 14 patients were included in the extension part. No grade 3 or 4 hematologic toxicities were observed. Non-hematological toxicities included grade 1 and 2 diarrhea, fatigue, cholinergic syndrome, vomiting, and weight loss. Totally, 3 grade 3 toxicities and no grade 4 event were reported. No objective responses were observed. Five patients had stable disease lasting median 14 weeks. Capecitabine in combination with oral irinotecan could be a new treatment option offering a more convenient and patient friendly treatment strategy compared to intravenous irinotecan. The combination is fairly tolerated; however, further investigations are needed to assess the efficacy of this regimen. Funding was provided by Innovationsfonden (5184-00055B) and Kræftens Bekæmpelse (R110-A7013).